Do exotic locales make a commercial movie stunning? Does the lead hero’s halo alone create the magic around a great movie franchise? Can a serious heist theme in a foreign country be the core of a masala Indian Bollywood film and yet pull if off? Don-2 left a lot of these questions lingering in my mind when I left the hall. When I entered, I had great expectations. But interval came too soon and I realized it was going to be a waste overall. With movies, somehow you get to know in the first 20-30 minutes what’s going to be the overall offering. Very rarely does the pitch change midway. Sequels are always hard to make, and with a technical core, Don-2 just did not make it. For those who came in late, the "Don" franchise was built by none other than Big B in the 1970s. Amitabh Bachchan did such a great job as the Don that a whole genre was created from scratch. It's sure that coming remakes will be judged against that benchmark. Now our modern Don - King Khan – has emerged from the shadows (post Don-1 disaster) and has reached somewhere in East Asia (Thailand I guess) piloting a great yacht through some unbelievably beautiful rivers. And then he asks for the name of the best Italian restaurant in town, before mowing down an entire gang of hitmen armed with Uzis and stuff, who were out to execute him on orders of a rival international cartel. Then he lands up in a Malaysian jail only to smoothly slip out with Vardhaan (Boman Irani). By the way, the Malaysian jail, if you look carefully, is so neat and clean, that our Indian home ministry mandarins can use it as a training tool for housekeeping guys back home. In fact, the toilets were better looking than of most hotels I have been to. What an amazing jail it must be! Unfortunately the story’s core forms around this theme – and it gets more and more technical from there on. 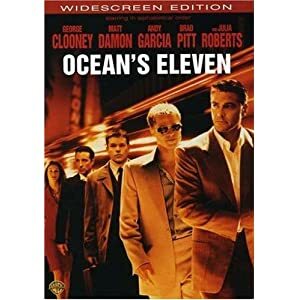 I don’t know why several moments reminded me of the great “Ocean’s 11” especially when the brilliant computer geek/hacker (Kunal Kapoor) is lubricated into participating in another illegal plot, much against the wishes of his almost-about-to-deliver-pregnant German wife (girlfriend?) and when the fire truck was prepared in the garage, and so on. Similarly the fight sequence between the SEK commandos and the gangsters is all too similar to the memorable military-building sequence of Matrix (part 1). I suspect that the writers and director realized somewhere in the middle that the movie may lose all grip due to its technical storyline and slow pace, and hence created extra/artificial moments of romantic comedy (very silly at times, cool at some) and some chase sequences etc. But all this is, in the end, artificial, and hence very difficult for audience to accept naturally. In fact, Shahrukh's personal charisma is relied upon repeatedly to maintain the glue. The standard Donisms are thrown at us to ensure we stay in our seats. My advice to SRK - don't let movies be driven only by your cool quotient, or the cinematographer's quality, or some silly dialogues.. let your acting quality and a really deep, good story rule. You are capable of much much better output. Perhaps you need really classy directors to do justice to your talent. Now the Don has a big target. So big names are cornered who’d help the Don secure entry to the sanctum sanctorum. These big names have a shady past that they’re all too eager to hide, etc. In fact the blackmailed guy starts looking so pathetic after some time you almost start pitying him and wish that this Don character gets a good whacking! One thing I truly admire – Don’s negotiation skills. The intrepid deals he regularly cuts with the Interpol / police can make any hard-boiled corporate negotiator squirm in his chair. But since the jungli billi (wild cat) Roma is platonically / figuratively in love / infatuation with our great Don, she never shoots him. Not even when it is the final choice between her life and his. One feels sorry about this Sameer (Roma’s boyfriend). One question though: Is there a single incident in the entire movie that proves Roma to be remotely close to being a jungli billi? In fact one cannot find a more confused school girl. So after many chases and “booms” and blips and “damnits”, finally the Don escapes unhurt, with the plates! And God save this world – arrives to his mole and Sameer on a bike numbered Don-3. Mallik (Om Puri) saying “It’s Don” on his mobile, to others around him. Even an exclamation was missing from his deep throaty voice here. His voice was so tired saying it, almost felt as if he wanted Don to win and take away whatever he wanted, and the film to end! In fact, right at the start when he informs Roma that he's retiring, one fears he actually means it! Roma (Priyanka Chopra) saying “Damn it” with the unserious precision of a high school girl! Music – did anyone hear anything? Class – funky cars, slick cinematography and slicker physiques can beguile youngsters to treat it as class, but the mature eye can see the hollow core inside the gloss. There’s a trend I see in movie-reviews and online feedback of latest releases : the imprint of 800-pound-gorilla-like PR machinery. It is distorting public opinion dangerously. So maybe this movie will do great commercial business, but remember - genuine fans of SRK (me included) are left wondering of the denudation that's setting in.